NEA Big Read Lakeshore – Page 6 – The Big Read is a program of the National Endowment for the Arts in partnership with Arts Midwest. | Hope College NEA Big Read Lakeshore – Page 6 – The Big Read is a program of the National Endowment for the Arts in partnership with Arts Midwest. 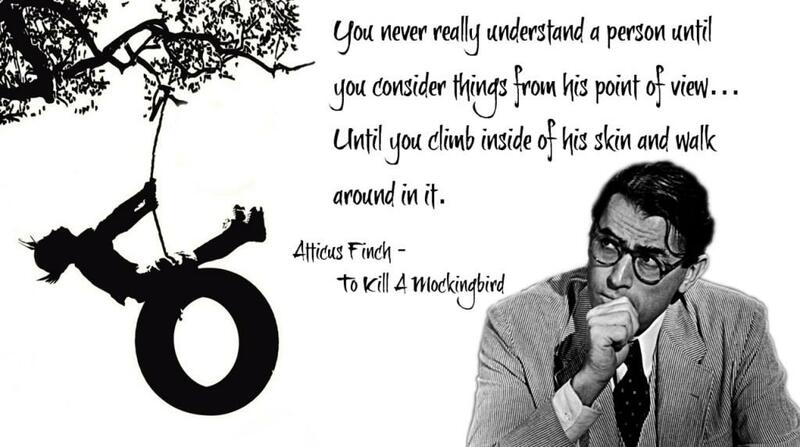 I don’t remember exactly when I fell in love with “To Kill a Mockingbird.” In the same way that there are times in your life when you meet someone who impacts you profoundly, there are times when a book does the same. 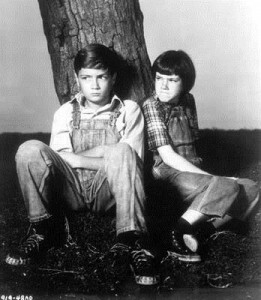 TKAM was that book for me. What first caught my attention was the unforgettable and unique character of Scout Finch. Through my eyes, Scout was like me. I was a tomboy when I was younger — dresses were my enemy, I had short hair, I tagged after my older brother (sometimes to his annoyance), I read a lot, and I found it easier to be friends with boys than girls. There were differences of course. Scout was far more talkative than I was, and resolved things with her fists more than I did, but there were enough similarities to keep me intrigued from the beginning. Although I still love the character of Scout, the book has evolved for me as I have grown older. Years after reading TKAM for the first time, I still find myself rereading it once a year. My copy of the book is worn and dog-earred, and clearly the most read book on my bookshelf. I have one small tattoo on my foot (to the surprise and horror of my parents), which is an outline of a mockingbird. Perhaps it is the tattoo that best explains my love for this timeless classic. 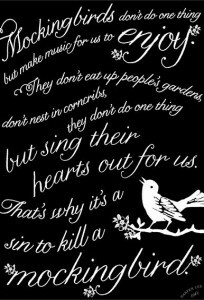 I decided on a mockingbird because I wanted to be reminded of Lee’s novel every time I saw it. Why? Books have lessons in them, and TKAM has lessons that can always be drawn upon at any time in a person’s life. One of the most prominent lessons in the story is trying to understand other people’s perspectives and actions by looking at life through their viewpoint. It ties into the theme of good prevailing over evil as the main characters look for and appreciate the good qualities of a person, while trying to understand their bad ones. One way this is illustrated is through Boo Radley, who is described as an intelligent, polite child, but suffers at the hands of an abusive father. Because of events before Scout and her brother Jem’s time, and fueled by gossip around town, the children believe Boo to be harmful and scary. Of course, he turns out to be just the opposite. One of my favorite’s scenes in the book happens at the very end, when Scout is falling asleep on Atticus’ lap while he reads a book about a ghost wrongfully accused of something. Scout mumbles “When they finally saw him, why he hadn’t done any of those things . 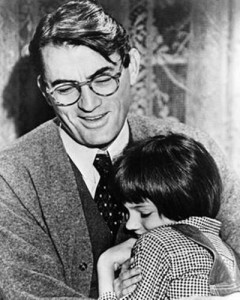 . . Atticus, he was real nice. . . .” Her father responds with “Most people are, Scout, when you finally see them.” Boo is a perfect example of what happens when you try to really see and understand someone–you see the good that is always there. I could go on for a long time about TKAM and its many themes, vibrant characters, and life lessons. Whenever people discover my love for this story and ask why, I find it hard to explain in a sentence or two exactly what it is. Although set in a specific location and time, its morals and lessons are everlasting. TKAM will always be my favorite book, and will always be a source of comfort for me. My husband and I are currently expecting our first child this February; a little girl. Her name will be Scout. I hope my daughter grows up with the lessons of this novel embedded in how she approaches the world. You’ve probably heard of this exciting program going on next month all over Holland! So why should you get involved? 1. Free copies of To Kill a Mockingbird will be given away at our kick-off event (November 3 at 7pm at Graves Hall on Hope’s campus) and at Herrick District Library on November 1. First come, first served! 2. This is the first ever Big Read in Holland; you’ll be a part of history! 3. Whether you’re re-reading it for the fifth time or if this is your first encounter with Harper Lee’s masterpiece, To Kill a Mockingbird will leave you thinking about some important life lessons like family, justice, community, and friendship. 4. People from all over the neighborhood will be attending Big Read events. You might see some familiar faces or meet someone new! 5. You’ll have the opportunity to hear from an excellent line-up of speakers including Dr. Fred Johnson, Mary Marshall Tucker, and Dr. Wayne Flynt! Not to mention see the incredible artwork of Joel Schoon-Tanis! So visit our Events page, mark your calendars, invite your friends and family, and get ready to READ! Harper Lee was definitely on to something with this powerful idea of compassion and forgiveness for others. This small quote reminded me of a cartoon I once saw that has stuck with me. It pictures an elderly couple who has probably been married for many years. They look very angry at each other and probably are in the middle of an argument; they are sitting outside on a bench but are faced away from each other. The man, though he looks frustrated and upset, is holding an umbrella over the woman to protect her from the rain. This image makes a claim that we still care for the ones we love even when we are going through a disagreement. I think we all can relate to this situation somehow. Perhaps we have fought with a friend or family member, but we would never wish them harm. I believe you can remain someone’s friend and treat them with respect even though you’re going through a rough time in the relationship. What matters is that you forgive each other and try to be understanding and compassionate. To Kill a Mockingbird Themed Crafts You Can Make at Home! Feeling inspired after reading Harper Lee’s masterpiece? Get creative! Step 1: Wash and dry your mug, if new. Decide on a design and prep design with masking tape, if necessary. Step 2: Use a pencil to rough out design for any words or lines. Remove masking tape. Step 3: Carefully draw design with Sharpie paint markers. Step 4: Add accent colors, if necessary. Step 5: Bake dishes at 350 degrees for 20 minutes to set paint; let cool completely. Finally, remember that these will NOT be dishwasher safe! Be sure to hand wash ONLY! Step 1: Go to a craft store and buy cardboard letters. Buy 1 piece of scrapbook paper for each letter. Also buy anything you might want to glue on top (beads, buttons, ribbon, stickers, flowers, etc.) The sky is the limit so create til your heart’s content. You will also need Modge Podge and a paintbrush. Step 2: Organize your papers by deciding which order they go in and which contrasting paper you will put on the sides of the letters. Step 3: Turn your letters backwards (Important!) and trace on the back of your scrapbook paper— in the corner so you don’t waste any. Step 4: Cut out your letter with an Xacto or scissors. Make sure it lines up on your cardboard. Step 5: Then measure the sides of your letters. They are usually 1 inch thick. Cut strips of paper in the thickness of your letters… for example, 1 inch strips of paper. Step 6: Then get out the Modge Podge, cover your paper, and mold the paper around the letters until it all sticks in place. After that, paint the entire letter with one more coat of Modge Podge. Your letters might look bad at this point, especially if you bought a fancy paper with velvet or shine to it. Don’t worry, it should dry pretty. Step 7: Glue on any accessories you choose and Viola!— You’re done! Super easy! Simply cut out pages from the book and it cut it to fit the tea light. For an optional twist, cut out designs in the paper. Secure with tape. Done! Posted on October 8, 2014 Author Krista LuedkeLeave a comment on To Kill a Mockingbird Themed Crafts You Can Make at Home! DISCLAIMER: This post has nothing to do with how to hunt or kill mockingbirds. However, this post will make you question life as you know it. The mystery and strangeness of Lee’s narrative seemed to me to echo the weirdness of the transition into the adult world. To Kill a Mockingbird was full of fun and exciting turns that kept me turning the next page when I was younger. However, sometimes I wonder if missed something. That’s right. I think I missed something. The spookiness, the humor, the twisted feeling in the pit of my stomach, and the infamous request to “pass the damn ham, please” are all elements of the book that stuck with me in the years beyond the course. But, as Lee wrote in her book, “People generally see what they look for, and hear what they listen for.” As an emotional adolescent, I guess I fixated on the emotions of the story. How the book made me feel. But Lee’s only book did not become an instant classic without having a little something more to offer readers than a gamut of feelings. I am now a senior in college studying English Literature, and I never thought to revisit To Kill a Mockingbird until I heard of its recent selection for The Big Read coming up this November in Holland, Michigan. At first, I was disappointed with the selection. Really? To Kill a Mockingbird?! Why should I read that book again? (It might make me recount the horrors of Jr. High school!) But, being the model English student that I am, I decided to grit my teeth and jump–once again– into the small-town world of Maycomb, Alabama. The great storyline remained, but there where all of these additional layers of problems that confront not only the world of Scout (a.k.a. Jean Louise Finch), but also the problems of the world I live in today. Lee raises pertinent questions about race, class, gender, justice, and the essence of being human. I am left wondering if my world has really changed all that much since Lee sat down to write her book. Our country and our world is still grappling with some of these issues. How are we to stand up and address these things with COURAGE? After all, I am not a lawyer out to defend the innocent. For, in the words of the impish Scout, “Until I feared I would lose it, I never loved to read. One does not love breathing.” It is just necessary to live.